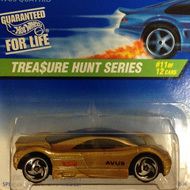 12/12 from the 1997 Treasure Hunt series. 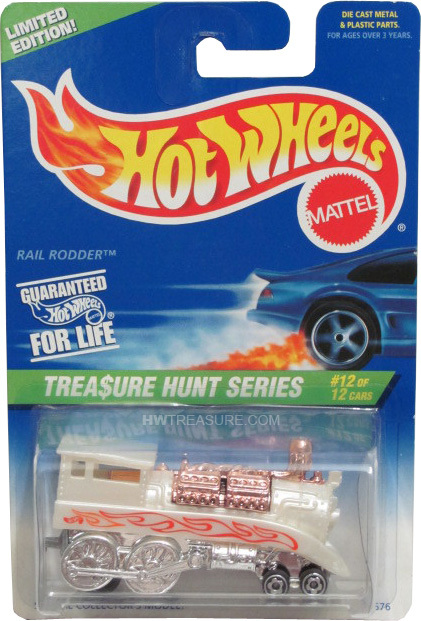 The Rail Rodder has pearl white paint and the sides are embellished with red and orange flames with a red Hot Wheels logo. It has a copper engine, white interior, 5-spoke and Micro Gear wheels, and an unpainted Malaysia base.